Want to get serious about CS:GO? Or just tinker with a few settings? Then you'll want to access the developer console in order to enable a few hidden tools. To those of you who are new to the game, this will sound pretty ridiculous as you'd expect any game you've purchased to be ready from the moment it's installed. Well, with CS:GO - this isn't the case. While it may seem like an annoyance, it's actually fantastic. CS:GO has given us unparalleled freedom when it comes to personalising your experience, but it just takes a little getting used to, is all. Enabling the developer console is the first important step to making the game truly your own. Essentially, enabling the developer console will allow you to input certain commands. Hit enter on a command and you may be able to see how many FPS your PC is churning out, change the colour and size of your crosshair on the fly and even alter the appearance of the minimap and where it’s positioned on screen. It’s staggering how many options the developer console opens up to you! We won't be diving into the specifics of console commands in this article, we'll be taking you through how to see it in-game, as this can frankly be a challenge in itself. We've reinstalled the game numerous times, and we still struggle to remember sometimes! Here’s a simple step by step guide to help you open the developer console through the options menu in-game. 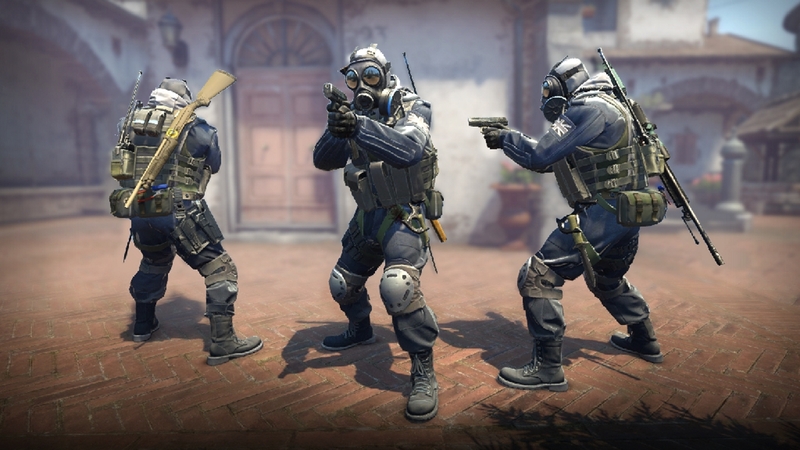 Once you’ve launched CS:GO, you’ll be brought to a main menu screen. Click the settings cog at the bottom left of the screen and then head on over to the “Game Settings” tab. Scan through the list until you see the “Enable Developer Console” option and set it to “Yes”. Now that you’ve done this, make sure you click “Apply” at the bottom of the screen before moving on. Now select “Keyboard and Mouse” settings. Search for the “Toggle Console” option at the bottom of the page, click on it and bind it to the key you’d feel most comfortable with. Try and avoid clashing it with another if possible, as this’ll make life much easier! Again, click “Apply” before closing the options screen and heading back to the main menu. If you’ve followed these instructions precisely, just press the button you’ve bound the console to and it’ll bring it up regardless of whether you’re in-game or not. This video by Toxik is a useful resource which shows you how to open and bind the command console, so do give it a watch. Why would you want to open the console? As we’ve mentioned above, entering commands into the developer console is one of the main ways you’ll be able to customise the game to fit your playstyle. You can customise practically every aspect of the game’s appearance to make eliminating enemies that little bit easier for you. You can change many aspects of the minimap. Character model bob and gun position can be altered. You can view all sorts of in-depth stats to determine how well your PC is running the game. It’s one of the main ways to control practice games as you can enable and disable bots, hit registration and more. Of course there are many, many more things you can achieve with the command console, so it’s vital you learn how to open it up and get used to using it.